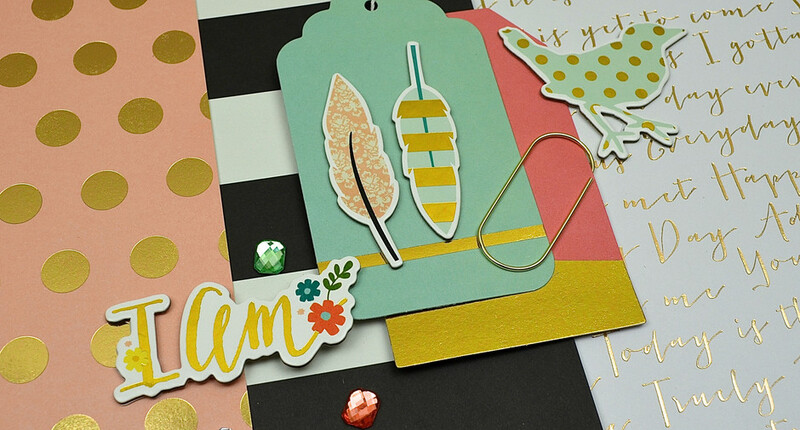 There's a brand new linky party happening at Paper Issues. It's called Enamored with Enamel, sponsored by Paper Camellia Kit Club. I used Paper Camellia's January Everyday Life Kit, January Add-On Kit and coordinating acrylic pieces to create my card. You'll find all of the details, as well as suggested ideas for linking up, right on the Paper Issues blog. The great thing is, you can link up something new or you can link up something you've already made. That makes it easy, right? Such a cheery card! 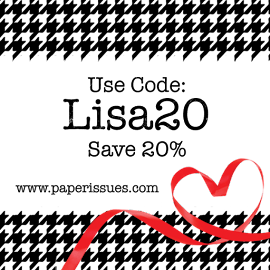 LOVE all the bright colors especially that love this arrow!!! Agree! The bow on the paper clip is a cute detail and I love that arrow too! Such a happy card! Sweet - Love the card and the bow on the clip rocks. Love the fun colors too -you always work them awesomely. Wooooow! Love your card, it's so bright and happy ...love that!! 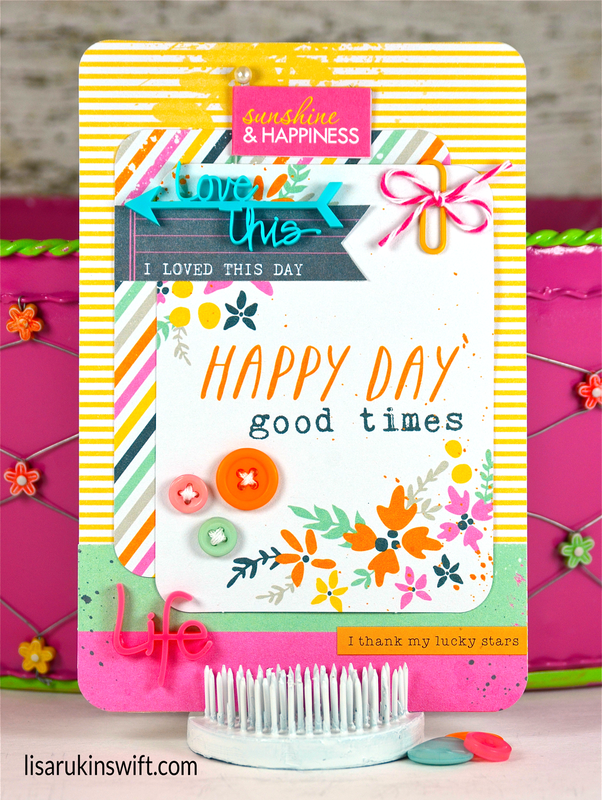 What a bright happy card, loving these papers and embellishments! Soooooooo gorgeous! LOVING the colors!!!!!!! Oh my goodness, Lisa! This card is the cutest!! I love the little button trio!! GORGEOUS card Lisa!! Loving the fun bright colours! This card is stunning and so gorgeous!! I extremely love the button trio that you stitched on!! Just constantly so very impressed with the way you match certain things together and place them in the perfect location!! I might have all of those bits together but could never create something as stunning as this - and it seems effortless to you!!! Have a wonderful night!!! Such a fun and vibrant card. Absolutely beautiful card! Love the little details you added. Such a lovely card! I love these bright, happy flowers and wonderful words! TFS!